Updating your old conservatory furniture has never been easier, or more affordable, than right now. Take advantage of these affordable rattan furniture products with prices that just can't last. 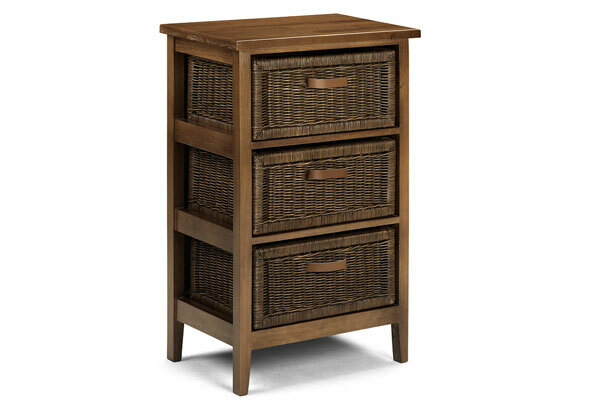 The three drawer Radisson is made in a high quality darker style wood. Each joint has been carefully made to retain it's rigidity meaning that it is built to last. 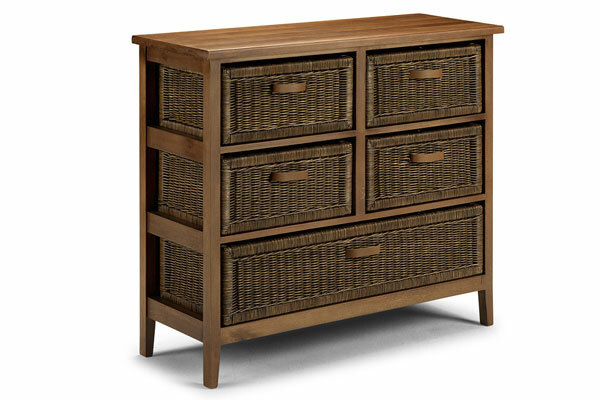 Each individual drawer is made from a beautiful rattan type weave and has its own equally sturdy matching handle. The unit stands proud and flat on top of premium tapered legs that adds a touch of quality to this superior range. Colours: Natural, Opal Wash, Soft Java. All colours and variations are subject to change depending on availability. 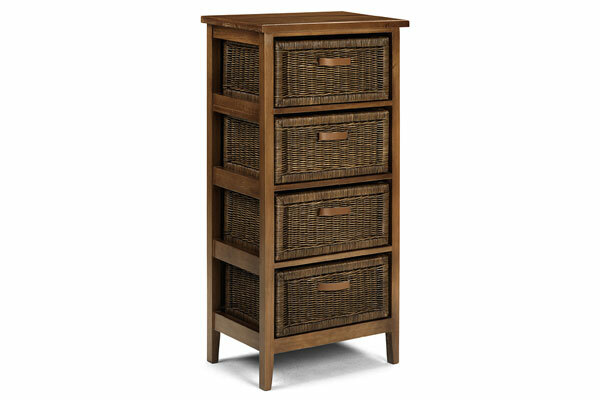 This is the taller brother to the 3 drawer but provides that little bit of extra space thanks to its extra drawer. Where space is at a premium - this is the answer. The stylish lines of the Raddison 4 Drawer means that this high quality rattan furniture is equally at home anywhere in your home. It's not just conservatory furntiture so wouldn't look out of place in a bedroom or hallway location. The colour/style choices are reducing quickly on this item. Act quickly to grab the last bargain now. The larger size of the Raddison 5 Drawer is one of its main strengths. Four smaller drawers provide ample room for important papers and belongings while the large bottom storage area gives it real flexibility for all your storage solutions. I'm sure you'd agree that this luxury rattan conservatory furniture would be just at home in a bedroom location - why limit yourself? Using the other Radisson matching furniture units, alongside this fine 5 drawer example, you can create a stylish themed look to any area you choose. The complete range also includes the supreme Raddison 8 Drawer to top off this great collection of quality rattan conservatory furniture. Take advantage while stocks last.